Haunting melodic rock with heart in the fight. f. Boo! 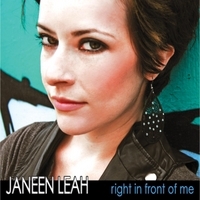 Music announces the highly anticipated new release from soulful songstress, Janeen Leah,'Right In Front Of Me', is available now.